With the administration's high priority on immigration enforcement, it's crucial for employers to verify the identity and employment eligibility of new hires, promptly and accurately. Otherwise, your business could pay thousands of dollars in fines. Our I-9 & W-4 forms software protects you from making costly mistakes while guiding you through an easy, completely paperless onboarding process. Forget the 15 pages of instructions explaining Form I-9. 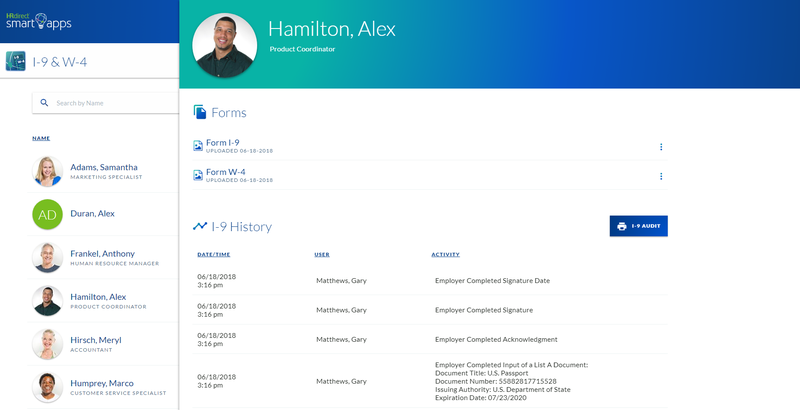 Through our guided process, completing forms is fast, easy and accurate — giving your new hires a head start, before they even walk in the door. Enter your employee's email, name and hire date to send them a link via email to get started filling out their forms. Using our guided questionnaire, employees enter their information into their forms to ensure accuracy. You'll be emailed a link to begin reviewing the completed forms and receive a notification of the status in the app. Now all that's left is for you to complete the remaining form sections to finalize them, save them, and print. Compliance during the onboarding process has never been easier. Best of all, one price allows for unlimited usage, regardless of the number of employees. Timely completion of I-9 and W-4 forms is more important than you think, especially in today’s political climate. Due to the time-sensitive nature for completing these forms, we’ll send you helpful reminders and notifications to make sure they are completed within USCIS and IRS timeframes — so you can avoid any potential penalties. Employers are required by law to retain completed I-9 and W-4 forms for a certain amount of time. However, if you’re like most businesses, your file cabinets probably don’t have the space to jam in one more form — another good reason to go paperless! Our online storage feature gives you the flexibility to store unlimited documents in one convenient central location. We’ll also notify you when it’s safe to discard forms for past employees. Eliminate the clutter and clean up how you store employee information in seconds. Keep all types of documents, organized by employee, in one central location — safely and securely online. 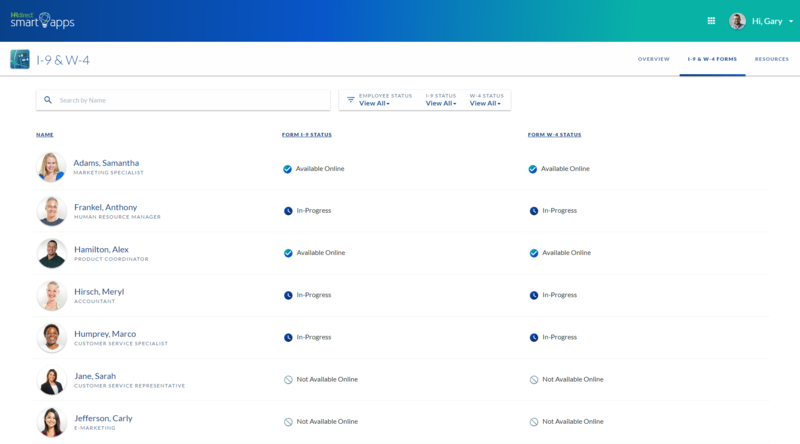 You can upload into individual employee profiles in no time at all. As with all HRdirect Smart Apps, our I-9 & W-4 app is continually updated to ensure compliance with USCIS and IRS recordkeeping and retention laws. The USCIS released a new revision to the Form I-9 on July 17, 2017. As of September 18, 2017, all previous versions of the Form I-9 are invalid. The IRS released a new 2018 Form W-4 on February 28, 2018 that’s twice as long, has additional instructions and includes updated withholding tables. Ready to Get Started with the I-9 & W-4 Smart App?